Hello and welcome back to Wonder Kids, this week we are looking into Ninjago, with the film that has just recently came out, check out the trailer below. We are going to look into some great Ninjago, decorations, food, crafts, fancy dress and more. So take your time and take a look through all of this Ninja fun. Lets kick off with these super cool Ninjago Lanterns. All you need are some cheap Chinese lanterns which I have linked below to save you some time, and these super cool Ninjago eyes which you can print on standard paper or sticker paper. if you print them on standard paper you can attach them using sellotape or double sided sticky tape. 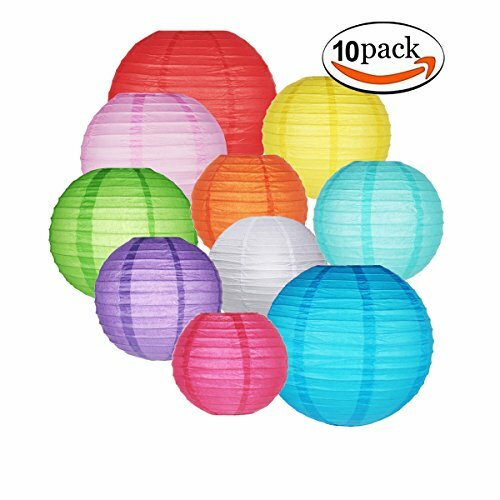 these can also be stuck on to red, green, blue and black balloons to make ninja balloons. 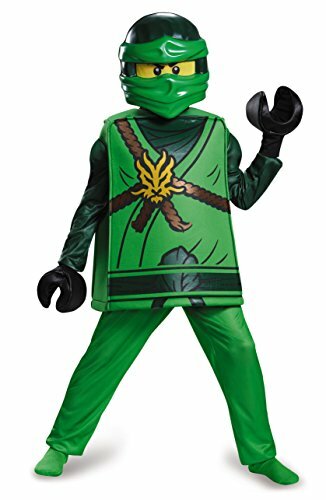 Lego Costume, Kids Ninjago Lloyd Deluxe Outfit, Medium, Age 7 - 8 years, HEIGHT 4' 2" - 4' 5 1/2"
I also wanted to share with you these great Ninjago costumes I found whilst researching, I think they are great and will really take a Ninjago party to the next level. 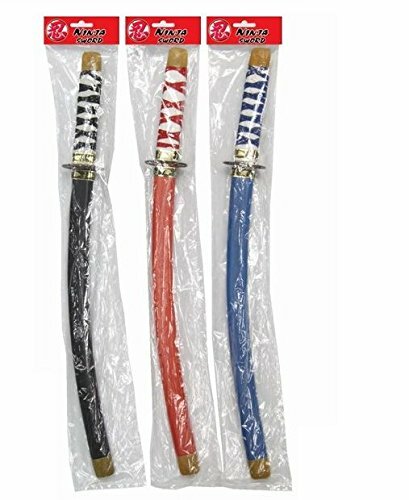 As with any costume accessories help to make it so I have also found some cheap ninja swords too. Ok lets get on with some more cool fun things, first up I have made these great lego ninja go party invites for you to download for free. We have a huge growing collection of invites all on one web page, take a look with the button below. Now we are going to need some great Ninjago themed food, these can be used to enjoy with the movie or use them for a birthday party, I have also included below some birthday cake inspiration for you to show professional bakers or have a go at one yourself. Share your pictures on our Facebook page, we love to see what you are up to. These first two ideas are super easy, just buy some fortune cookies, dip them Ito some red candy melts and boom they are done. Next are the Spinjitzu Sticks, these are pretzel sticks again dipped in coloured candy melts and then covered with different toppings, you ca use sprinkles, coconut, chocolate chips or anything else you can find. I love this cake sushi below, it looks really impressive and again is sooo simple, this just uses different types of cake, so use a Swiss roll and slice to make it look like sushi, the same with a chocolate log. Rice Krispie treats with a sweet fish on top, I think they are called Swiss fish? but not too sure, they are available in the Uk through specialist suppliers. Genius! Then I have put together a gallery of cake inspiration for you to. I think these are super cool, and depending on the age of the kids they could have ago at making these themselves. I think kids under 8yrs will really struggle with these. First off I found you need to start with two pieces of A4 and you need to measure 10cm tout off. These makes the A4 more of a square shape which should make all the folds work better. Just follow the pictures, take your time and once you have made one you will be well away. This is the end of our fun this week but fear not we still have one more week of fun with Lego yet. Next week I will show you some brilliant Lego themed games that you can modify and use with all three lego themes we have covered so far. Hello it's the most magical time of year and just in case you are reading this in December than I have included below a link to some great Christmas Ideas from Wonder Kids. Every week this month we are going to look at a different theme of Lego. This week is Lego Movie, I really enjoyed the movie, in fact it was one of the first things I ever wrote about on this blog. I won't link to it because it's just embarrassing now looking back at it but if you really want to see it just search for Lego Movie in the search bar above. Anyway I am waiting nervously for the next Lego movie, the sequel, can it be as good as the first, can it be better? Im not sure. Before we get going I have also compiled this years list of the top most wanted toys and of course it has some lego sets in it for the lego fans, lego makes it on to my top rated lists every year, such an amazing toy in my opinion. 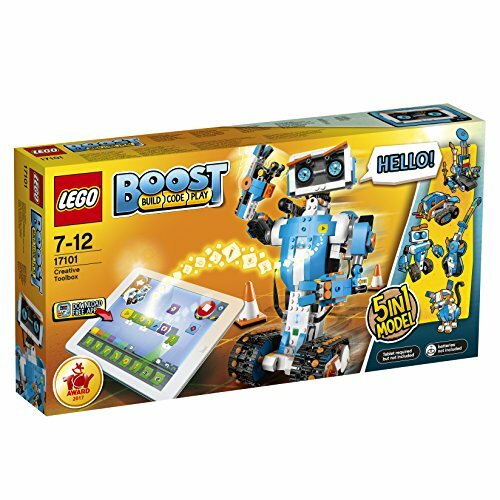 I included Lego boost on the top Christmas toys list and I think it was the most expensive addition I have ever included. I only included it because we saw it demo'd at the Convent Garden Apple Store and it was brilliant. So the kids can build any of 5 different model options, we made it like the Johnny 5 robot from the classic Short Circuit film as you can see on the box. then using your iPad you can program the robot to move in all sorts of directions and to do great things like dance and spin too. This is a great fun way of getting kids programming and understanding how programming works, it is pricey but coding, programming and web development will be crucial in our kids future. I included some of these back in 2014 when I first covered Lego Movie but now they are back with some additional characters, just print them off and mount them on some good card like a cereal box. Wrap some elastic around your head and boom you have some great Lego movie Masks. Stick the film on, grab your drinks and snacks, make sure everyone has one of these bingo cards and a marker pen. Just mark off every character you spot, be careful though some of them are tricky! The first person to find all of their characters wins. Ok so we are having fun now, but how about a Lego Movie Party? Of course you can use these items already but lets check out some inspiration, keep reading for FREE Lego Party Invites then at the end of this blog we are going to include a brilliant Lego activity that the kids will love. I hopes that these pics give you some inspiration, I would love to see what you come up with or if you try any of the ideas here. You can post pics on our Facebook Page. Below I have designed some free Lego Movie Party invites for personal use only. This is a great activity that you can just do over Christmas, maybe the kids got a new lego set from Santa? or its great for a party too. All you need are some simple lego bricks and some cord. 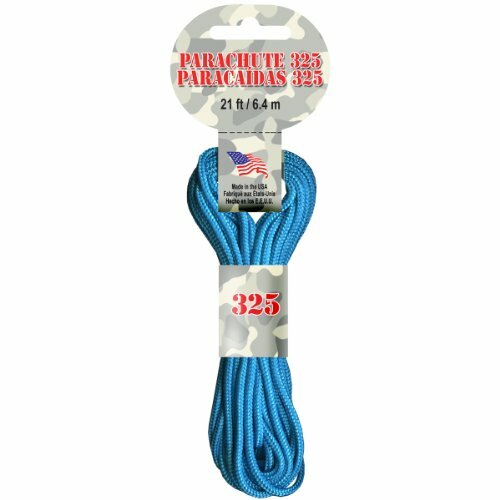 I recommend Parachute cord because it's nice a smooth and obviously very strong but string will work too. The only downside with string is that it will get worn and break. First build the stand for the man, to do this start with a based put the man on it then get the kids to build bricks around him. Note the gap above his head, we use a curved brick like in the picture but I think it should work with a square gap too. Now all you need to do is connect the cord to something solid like a door handle and then raise the cord to something higher. The higher the cord is raised the fast the lego man is going to go. Try maybe making quite a long one by tying one end to the front door handle and the other end up stairs? You need an nice straight line with lots of tension. If the cord is loose and sags in the middle the lego man may get stuck. This also teaches kids loads about gravity, tension, forces etc, try to explain whats happening to the lego man, if he falls too fast ask them why they think it happened. I like the idea of including secret compartments in the box the lego man is travelling in that could house a secret message or some other lego bits that he could transport. Ok thats it for this week, but make sure you come back next week for loads of great fun with Lego Friends and then after that we are going to explore Lego Ninjago and then finish the month off with a Lego surprise. See you soon.